Following up on our series of geeky Ugly Christmas Sweaters, I had to follow up the Star Trek Ugly Christmas Sweaters with the Doctor Who Ugly Christmas Sweaters. As per usual the Internet did not disappoint and provided a who slew of options for this roundup of the 5 best ugly Christmas Sweaters. 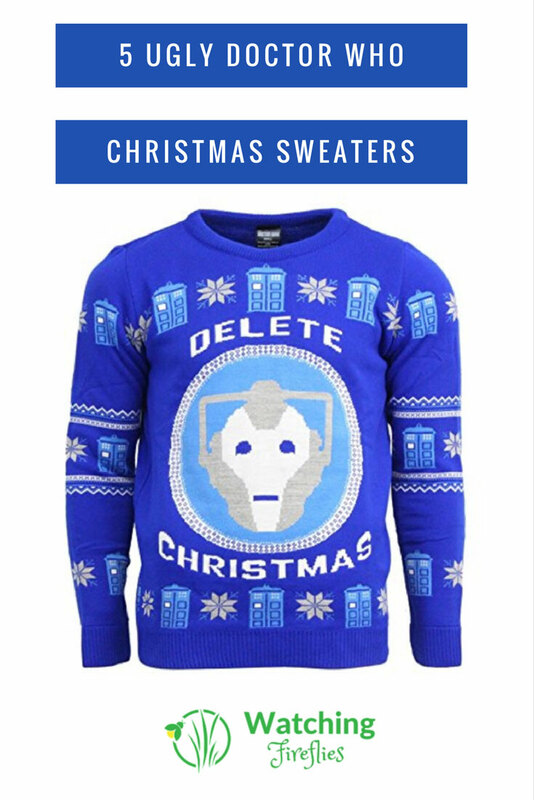 From Now Ties to Weeping angels, Whovians like to go all out on their sweaters at Christmas. Comment below to let me know which one if you’re favorite. In a classic ugly Christmas sweater style, this design features Daleks and bow ties set on a background of questions marks. 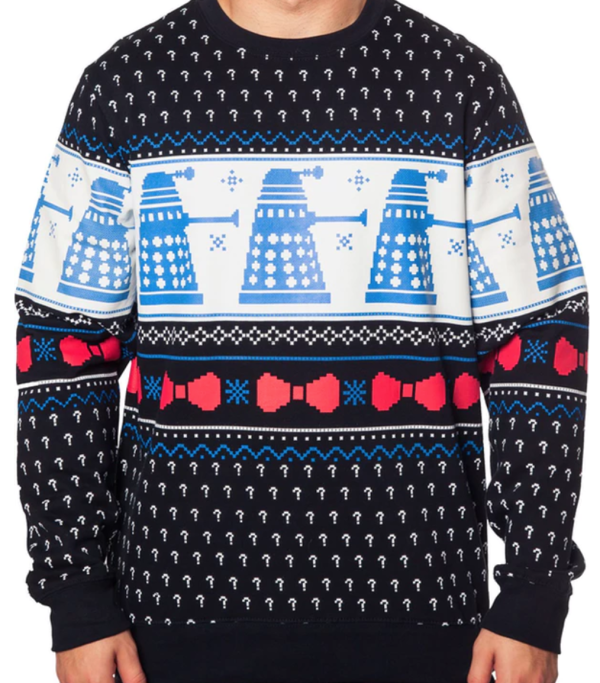 Sprinkle in some snowflakes and you have the perfect Doctor Who Ugly Christmas Sweater. You can get this sweater from 80stees. 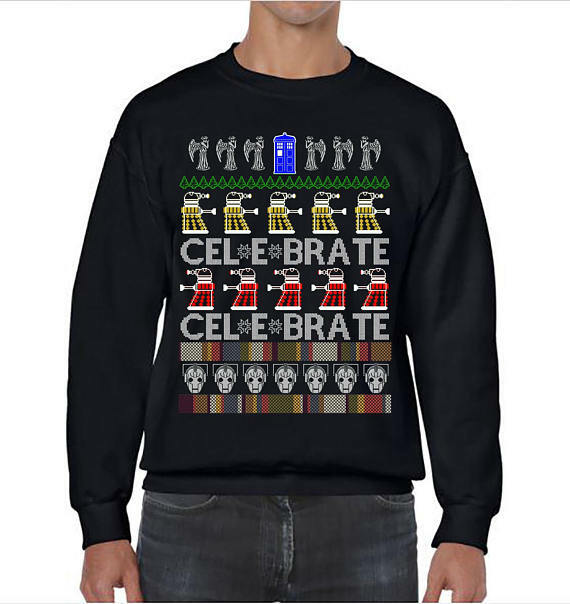 For the Scrooges of you out there this ugly Doctor Who Christmas sweater is right up your alley. 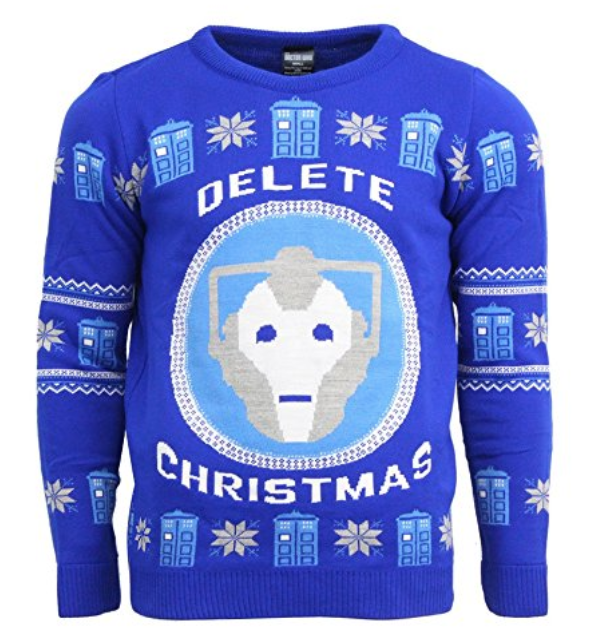 Featuring the Cybermen and the words Delete Christmas it better than any Bah Humbug. You can get this sweater from Amazon. It’s Christmas Timmy Wimpy. 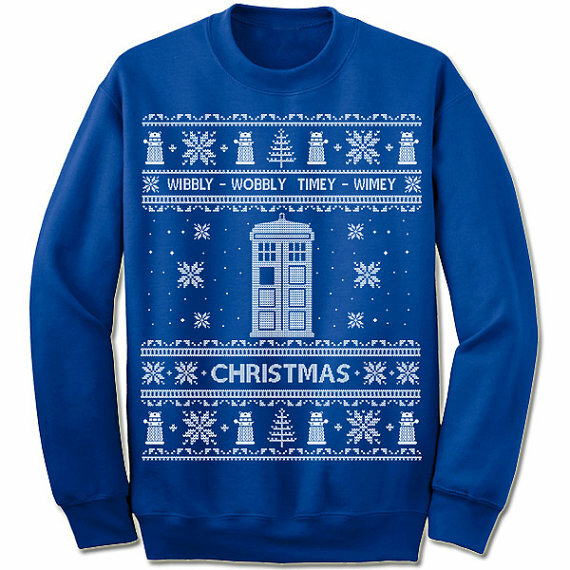 This Christmas Sweater featured the Tardis with some Daleks, Christmas trees, and snowflakes thrown in alongside the words Wobbly Wobbly Timey Wimey. You can get this sweater from the ChristmasSweatersCo Etsy store. As far as ugly Christmas sweaters go, this one has to take the prize in this collection. It may not make sense at first and you may have to adjust your eyes to see past the ugliness but try saying Celebrate as a Dalek and you will get it. You can buy this sweater from FirstChoiceApparel’s Etsy store. I think all of us want a Tardis for Christmas. 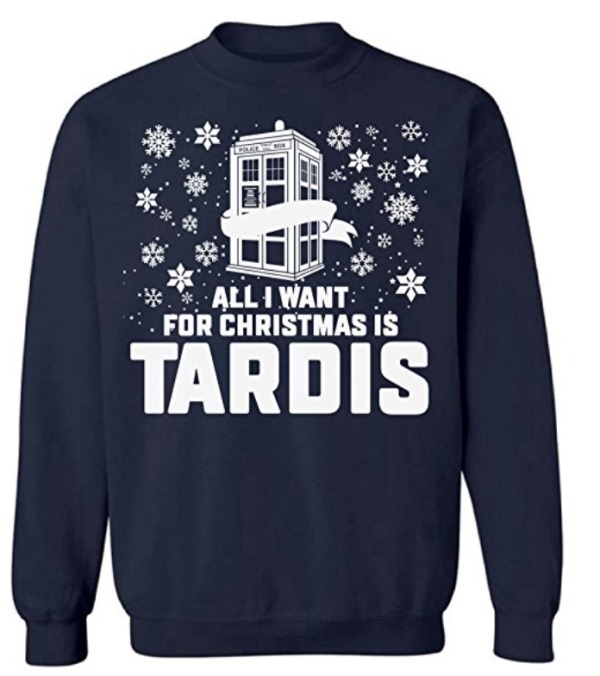 Now you can say it loud with this ugly Doctor Who Christmas sweater from Amazon.